Well the heat is definitely on, in more ways than usual, as we tackle the queue of jobs that we have at the moment. The work on Great Eastern Railway Royal Saloon No. 5 is proceeding at a steady pace as John Dixon fills the cracks in the teak panels and Tim applies more gold size and varnish. 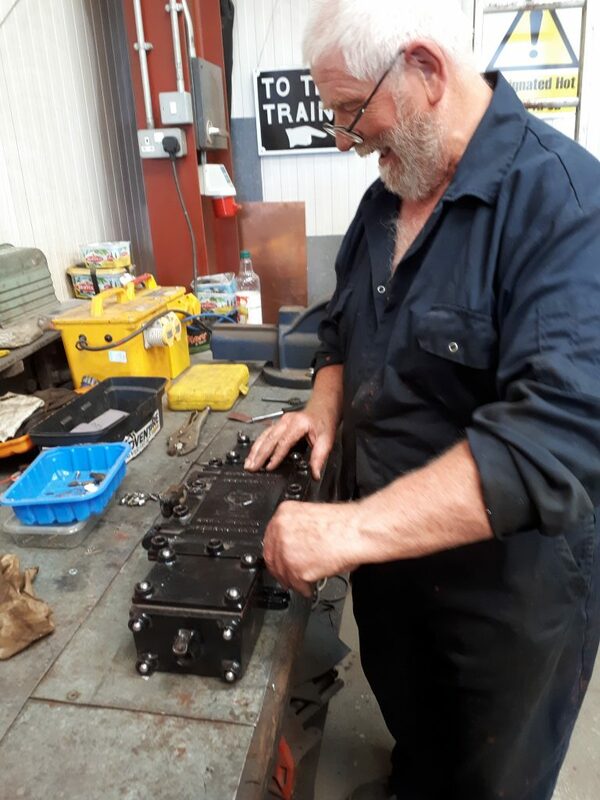 Alan Ogden has once again been tackling the instruments and smaller electrical items on Fluff and is seen here with a refurbished switch box. Ade, Alan and Howard have been hard at it in their efforts to remove the final spring hanger pin on Caliban‘s frames. Suffice to say that plan Z didn’t produce immediate results, but lots of sweat and toil were duly expended and victory was eventually achieved. 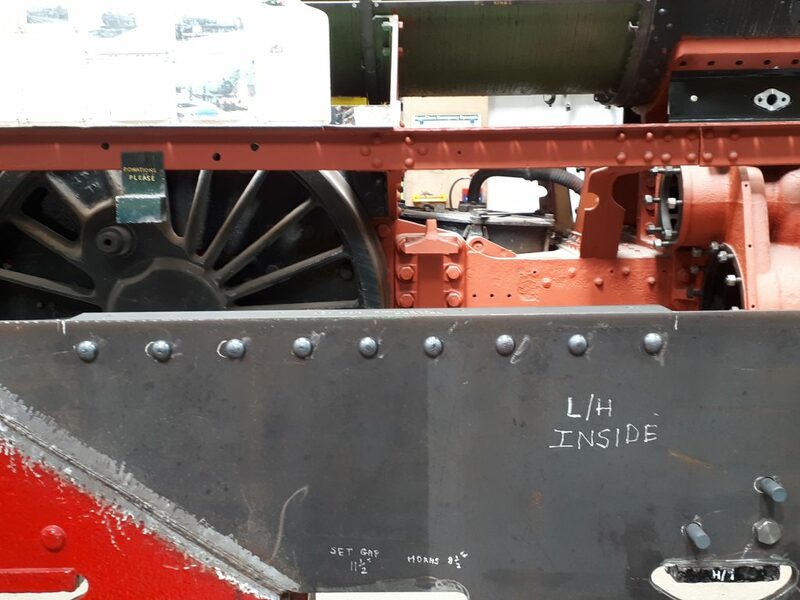 It is pleasing to be able to report that the riveting session on Wootton Hall the previous Thursday had seen approximately 50 rivets installed, and evidence of a neat job is seen in this photo of a newly riveted bracket on the front portion of the frames. 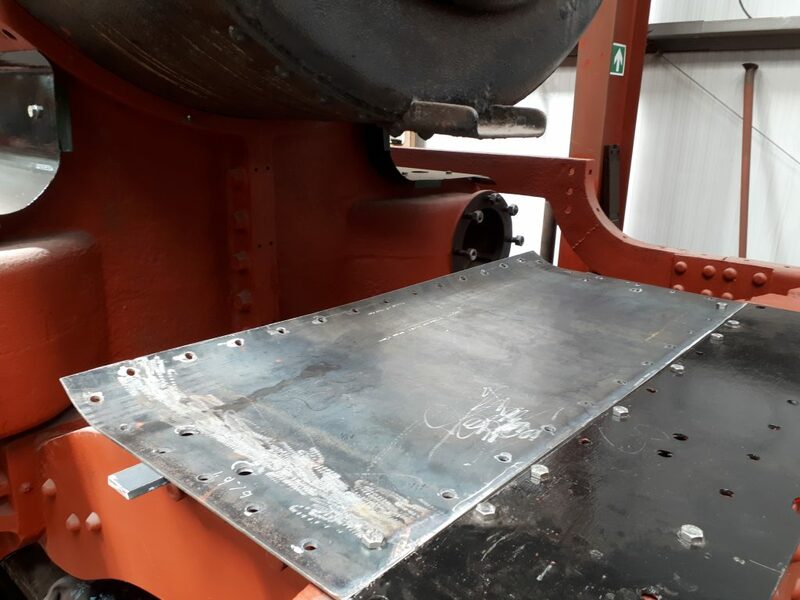 Backing plates for the tender cab steps have also been bent to shape. 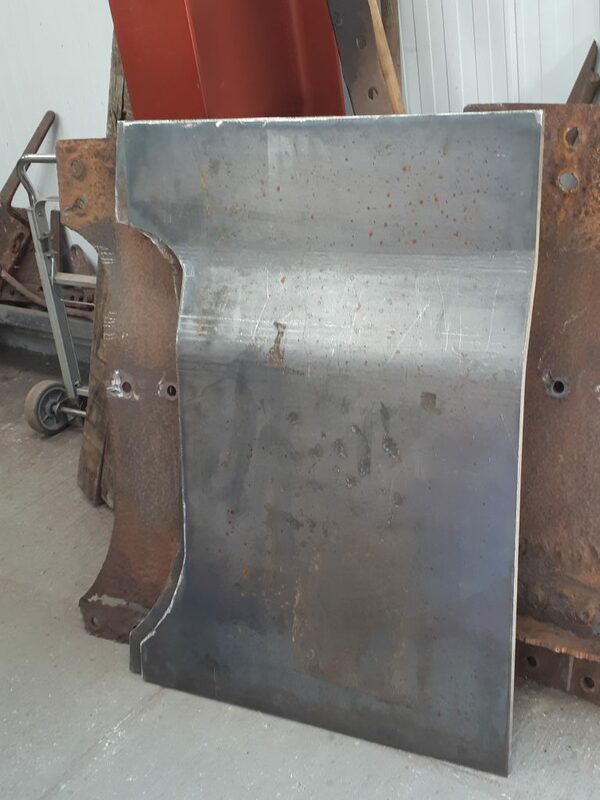 And a newly fabricated and shaped plate is seen here on the frames in front of the boiler. 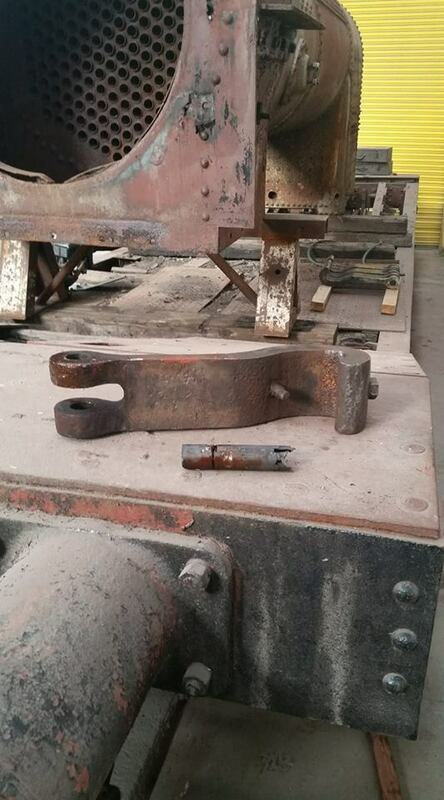 With all this progress being made on the project, Keith has, at not inconsiderable expense, now placed an order for two new live steam injectors for Wootton Hall with South Coast Steam of Portland, Dorset. 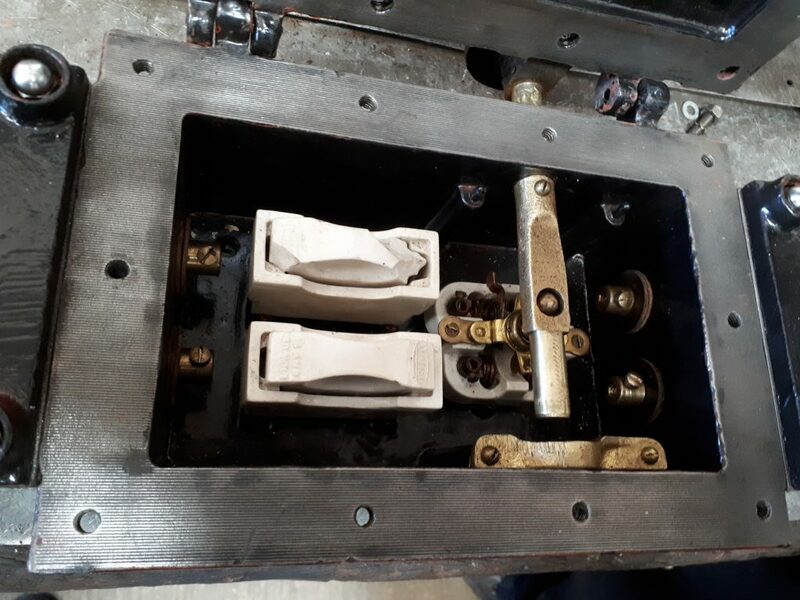 Alan Middleton has also been in touch with South Coast Steam, in this case to order new injector components for Cumbria‘s left hand injector to replace items which had become badly worn. Last week’s AGM was unusually chaired by Neil in the absence of Tim, who was elsewhere to see son Matthew passed out as a Police Cadet. The meeting passed smoothly although took four minutes longer than the previous year – must have been something to do with Tim’s lengthy written report! 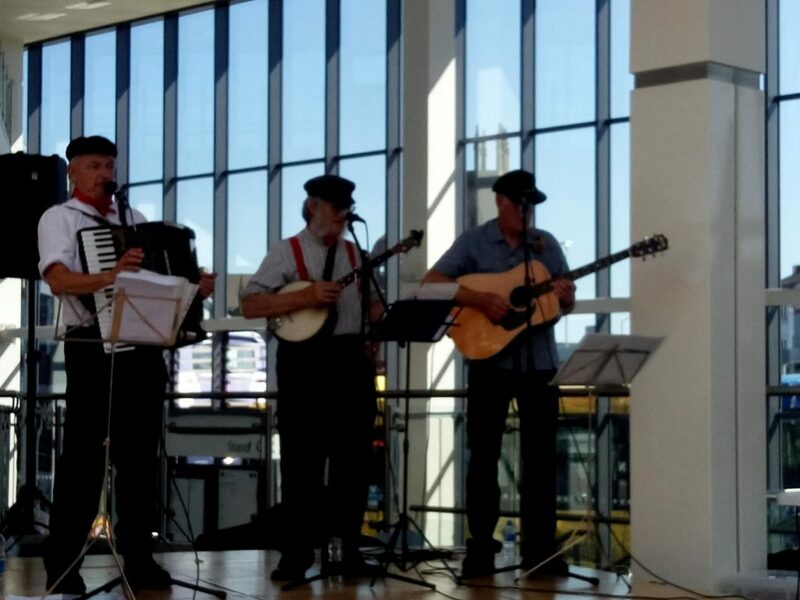 Alan, Tim and Pete Skellon successfully made it to the Bolton Station Community Gala on Saturday and, would you believe it, played railway songs in the bus interchange for half an hour! Must have been rail replacement songs! Both Alan and Pete had been disorganised in forgetting to take their mobile phones with them, but between you and us Alan also forgot to take a set of teeth – but we won’t tell anyone, will we? Finally, FR 20 makes its last public appearance in steam at the Ribble Steam Railway this next Saturday and Sunday before its ten year boiler overhaul.